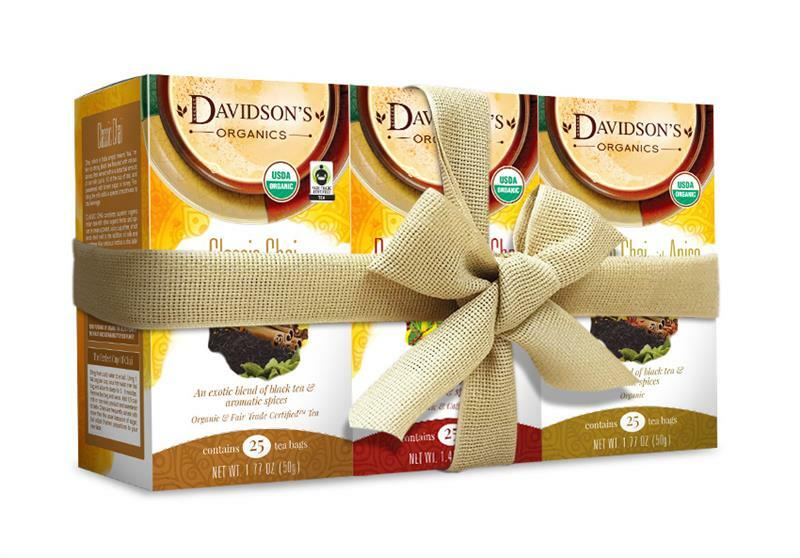 Treat a tea lover to Davidson's spicy Chai Tea 3-Pack Gift Set, perfect for any special occasion. This gift set contains three boxes of 25 tea bags (i.e. Box-25), all wrapped-up in a perfect bow. The Chai Tea 3-Pack Gift Set contains the following blends: One Box-25 Classic Chai, One Box-25 Rooibos Spiced Chai and One Box-25 Mandarin Chai with Anise.